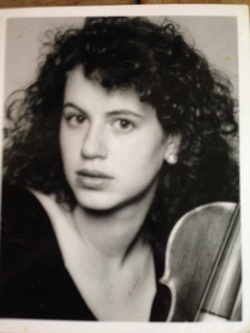 Jennifer Haas joined the violin section of The Philadelphia Orchestra during the 2001-02 season. A Delaware native, she began studying privately at the age of three. She furthered her studies with Jascha Brodsky at the Curtis Institute of Music in Philadelphia, where she received a Bachelor of Music degree. Ms. Haas has appeared as soloist with numerous American orchestras and has won several prominent competitions both locally and nationally. She made her Philadelphia Orchestra debut as a winner of the Robin Hood Dell Guild Audition.